Are you getting ready to put your house on the market? 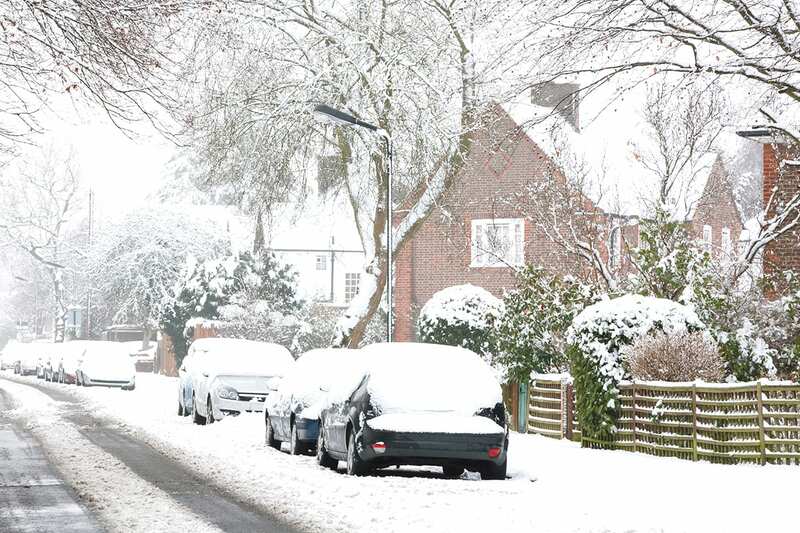 During the winter months, preparing a property to sell comes with some unique challenges. One of the biggest is showing buyers that it stands up to the cold. Fortunately, there are steps you can take to ensure your home makes the best possible impression this season. Learn which 5 tasks you should tackle for a successful sale here. In addition to posing a safety issue, built-up ice and snow can give buyers the idea that your home isn’t well maintained. That’s why you should be extra vigilant about tackling slippery conditions during periods when your house is being shown. Clear all areas where buyers will be walking, including the sidewalk, a path to your front door, and your driveway (if you have one). There are products that can melt stubborn ice, but the best way to maintain safe and easy access to your property is to pull out the shovel—before the snow piles up. When was the last time you had your HVAC system serviced? If it’s been a while, now is the time to call in a professional. Buyers will likely have questions about the condition of your heating, and you should be able to answer them confidently. Once you know your system is working well, crank the heat. A warm space will make buyers feel comfortable when they step through your front door—which will strengthen any positive associations they form with your home. No winter preparation checklist would be complete without mentioning cold drafts. Just as a poorly-heated home is a major turnoff for buyers, so too is a drafty window or door. Fortunately, there are ways to check for spots where cold air may be getting in. The easiest method is a visual inspection. Walk around the outside of your house to check for gaps around window and door frames. From the inside, you can use your hands to feel for cold air in these areas. If you detect a draft, consider caulking, weather stripping, or (if the problem is serious) window replacement. When buyers are purchasing a home, they’ll often get the fireplace and chimney inspected. Neglecting these areas can lead to conditions that cause health issues (and, in rare cases, carbon monoxide poisoning). You can ease buyer safety concerns by having a professional look at your chimney before you list. A clean bill of health will streamline the selling process—and leave home hunters feeling excited about the prospect of getting cozy by the fire. The last thing you want to deal with when you’re selling your home is a plumbing disaster. That’s why it’s so important to prep your plumbing. Start outside. Drain and disconnect your hoses and outdoor faucets so they don’t freeze (or create pressure that could lead to a burst pipe). Speaking of pipes, you should ensure that yours are insulated in areas that aren’t well heated. Heat tape and foam are both great options. Lastly, if you have any existing leaks, get them taken care of—before buyers notice them, or have to deal with the bigger issues they can cause. When the temperature drops, preparing your house for the market can be a challenge. By following the tips in this winter preparation checklist, you can show your home to its best advantage—and pave the way for a quick, profitable sale. Selling your home in Toronto? I can help. I have the experience and local market knowledge to help you find the right buyer. Contact me today, and we can discuss your needs.